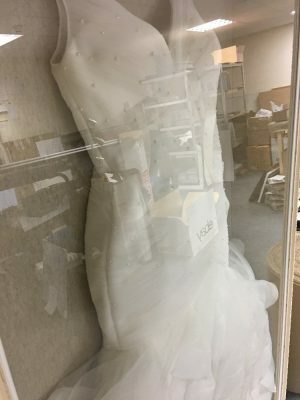 The popularity of Wedding Dress Framing has increased significantly over the past 6 months. In this section we will showcase the completed wedding dress frame projects when we can. Special thanks to Diane for sharing the image of her Completed Dress in her Dressing Room at home. Stunning !!!! 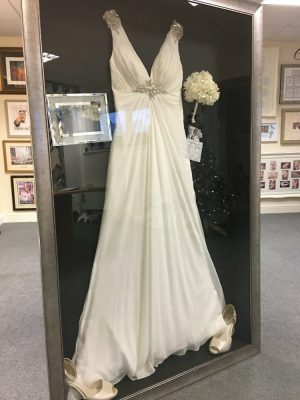 We are now shipping Wedding Dress Framing completed projects across the UK working closely with a Specialist Courier to ensure an excellent service for these fragile items. Follow our Facebook and Twitter accounts for more information on our products.